Here comes the Patch Note for the updates today November 8, 2018! : 2018 Spooky Pumpkin Town is now closed, thank you and see you again next year! : Pumpkin Bomb, Ghost Bride's Invitation (Event) and Misty Graveyard Key will be removed from the inventory. : Gather around turkeys from random encounters of thanksgiving bushbeast and fishing! 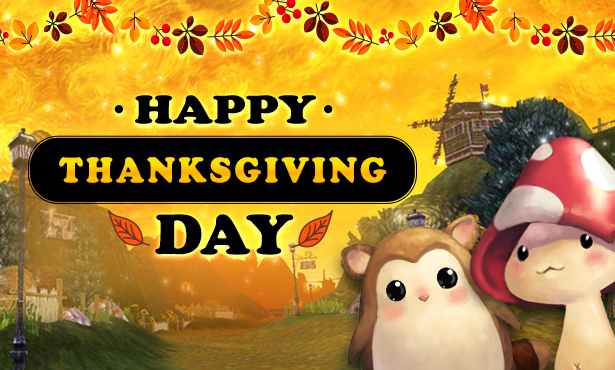 : Thanksgiving NPC is located at New York, . - Last chance to get AO day sales!